I had no idea what extensive Pi Day Celebrations there are all over the world until I began to research the subject. 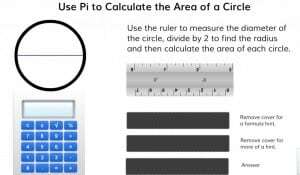 I found some terrific ways teachers are drawing their students into the joy of Pi and after writing this new lesson for Pi Day (3/14), I found myself getting more excited about using Pi and feeling great about math in general. What teacher couldn’t use a little math euphoria this time of year? One teacher bakes 100+ cookies so her students can discuss the relationship between diameter and radius. Each student then chooses a cookie. They have to measure the diameter of their cookie in centimeters. They calculate the area and circumference of their cookie using the correct formula. Once all that information is on their exit card, of course, they get to eat their cookie. I’ve included a similar activity that won’t require any baking in this new lesson. 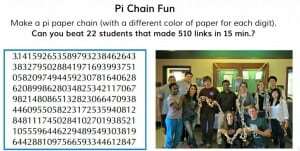 Another teacher mentioned that their students make Pi Bracelets, with each bead color representing a number. We’ve included a paper chain idea that’s similar in our lesson, but again, much less expensive to prepare in time and money. Maybe your class can beat the standing record. One math teacher has her students make up Pi songs to the tune of a familiar nursery rhyme. And imagine my surprise at reading a person who said they received a random phone call from a math class on March 14th. Why? His phone number was 314-1592! 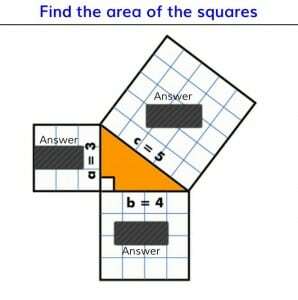 Pythagorean Theorem But there’s more than just the Pi Day Lesson to assist you in promoting math joy. There’s a new lesson on the Pythagorean Theorem that is stellar. When I saw this one on the Gynzy site I really took the time to walk through it and low and behold, I learned something I didn’t really know before. Sometimes Gynzy helps the teacher learn something new so they can pass it on to others. This was not material I needed to teach fourth graders and the first time I had to learn it was over thirty-five years ago. 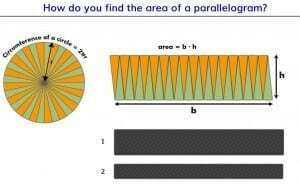 If students need more help on finding the area of a circle, there’s a single focused lesson that can help: The Area of a Circle. It uses all kinds of estimating strategies that will help students “get it.” I just love that Gynzy has all these lessons ready with one click to help teachers make traction with all kinds of learners. 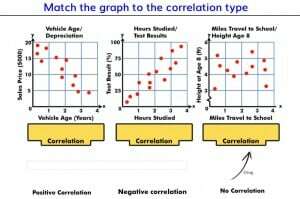 Once they have found the area of a circle, you would really like the new Scatterplot and Correlation Lesson. This way they can see the relationship in their data sets. They could make scatterplots to show the relationship between radius and area. I hope you’ll enjoy your own Pi Day Celebration. You may not even teach math. In that case, I still recommend celebrating. Just add an “e” and have a piece at lunch. You’re a teacher and if you filled even one mind with the love of learning today, you earned it.